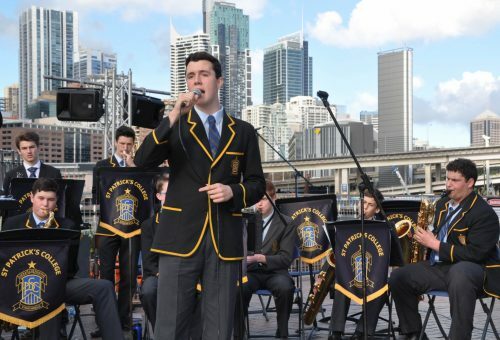 On Sunday afternoon 4 June, the College Wind Ensemble and the Blue Black and Gold Big Band performed a two hour concert in the Darling Harbour amphitheatre. This annual event is one of the calendar highlights of the Band Programme at the College. The boys proudly and professionally represented the College, entertaining a large audience with a showcase of a variety of styles and genres of music.